68) Memorandum from Professor Ira Mark Bloom, Justice David Josiah Brewer Distinguished Professor of Law, Albany Law Sch. 97) E-mail from David English, Reporter, Uniform Trust Code, to Ira Mark Bloom, Justice David Josiah Brewer Distinguished Professor of Law, Albany Law Sch. 98) E-mail from Ira Mark Bloom, Justice David Josiah Brewer Distinguished Professor of Law, Albany Law Sch. Reporter, Restatement (Third) of Property (Wills and Other Donative Transfers), to Ira Mark Bloom, Justice David Josiah Brewer Distinguished Professor of Law, Albany Law Sch. David Josiah Brewer (1837-1910), Associate Justice of the U. United States,(2) was drafted by Justice David Josiah Brewer, a jurist known for his outspoken religious and social views. 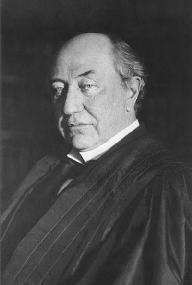 David Josiah Brewer served as Associate Justice of the United States Supreme Court from 1890 to 1910. 45 (1994); Joseph Gordon Hylton, David Josiah Brewer and the Christian Constitution, 81 MARQ. David James Teak Direct Ltd.